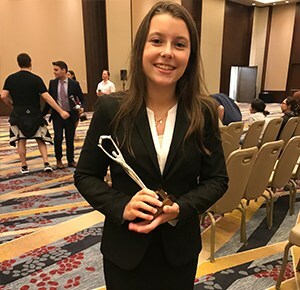 Sophomore Stella O'Brien was able to make the top 24 in New York Catholic Forensic League's National Competition. Stella made top 24 in Nationals, which means she got to both semi final and final rounds. And she also- notably- did this on 48 hours notice to prepare as an alternate for a student who was unable to attend. Fantastic job, Stella! Sister Raimonde would be proud.